Wow your guests with some LOVE lights! 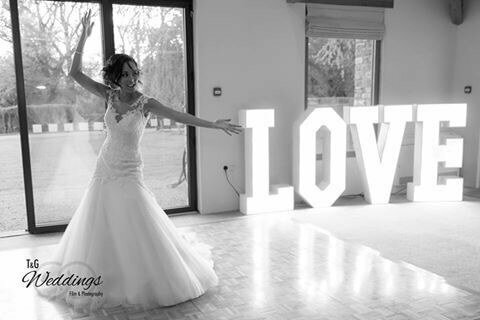 My light-up LOVE letters for hire are a popular addition for brides and grooms planning a modern wedding. 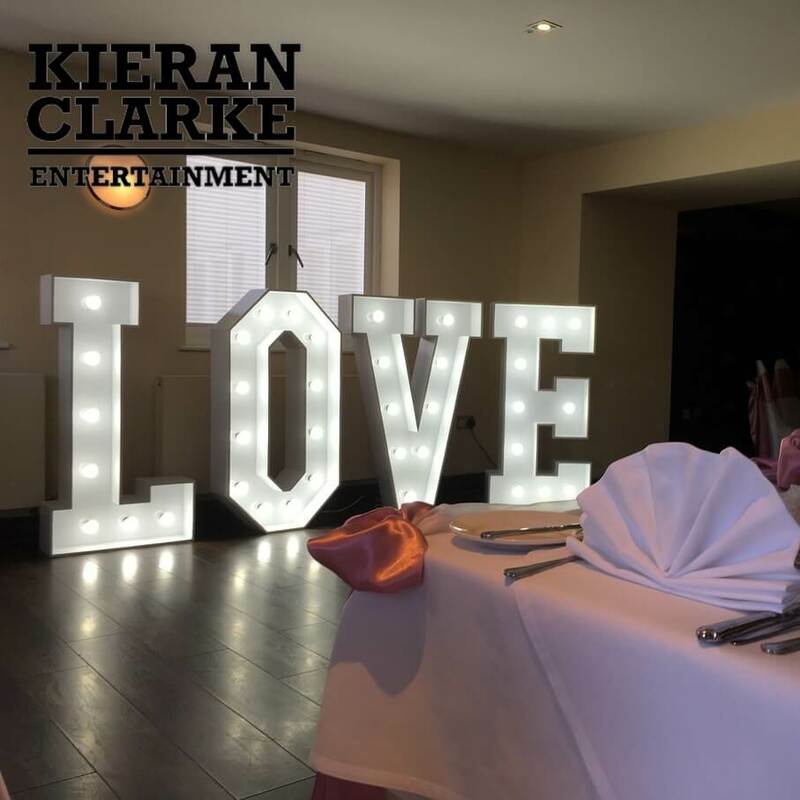 It’s easy to see why; these giant LOVE lights add a touch of glamour to your venue and create an exciting talking point for your wedding reception guests. 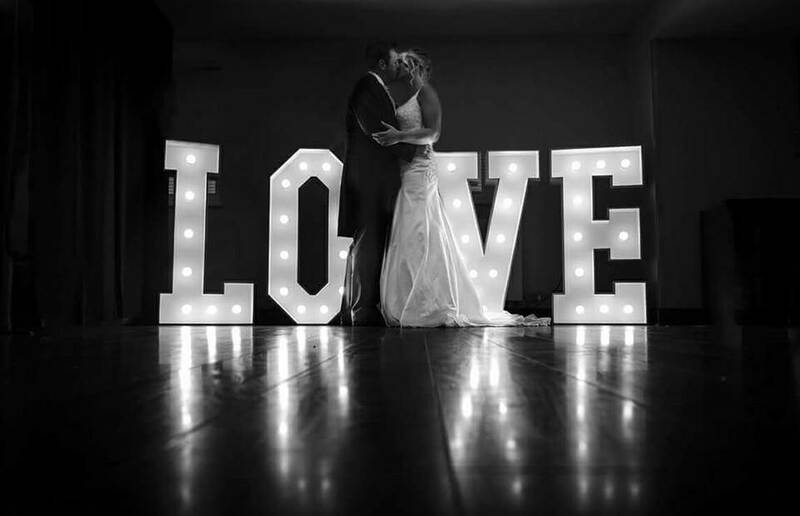 Whether you place your letters at your venue entrance or next to your dancefloor, giant LOVE letter lights provide countless photo opportunities for you and your party guests. With a beautiful white wooden casing, these LOVE lights create a soft, flattering glow – a perfect backdrop as you sway to your first dance and long into the night. 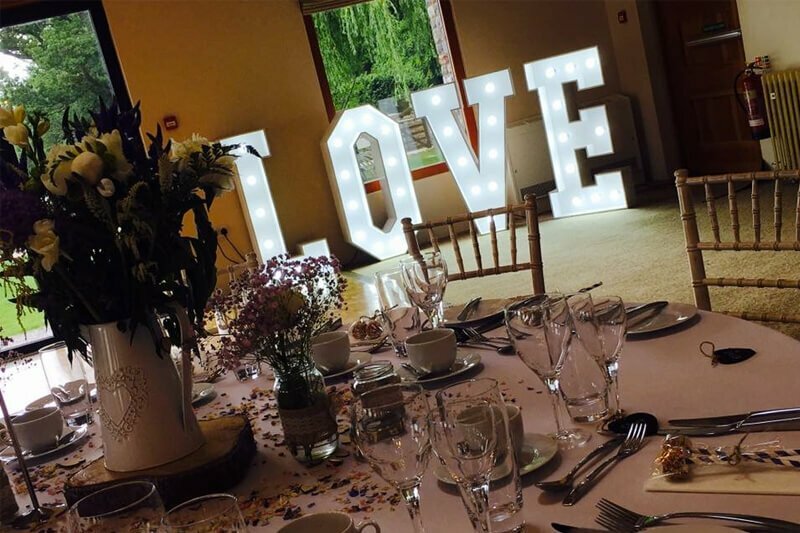 If you hire your giant light-up LOVE letters from me, I will deliver them straight to your venue and collect them the next day so that you can relax and enjoy your special day. Wedding LOVE letters can be supplied separately to my DJ services.